Management Sciences is an academic department within the Faculty of Engineering that offers an undergraduate Bachelor of Applied Science (BASc) degree in management engineering, an undergraduate option in management sciences, and both research and course-based graduate degree programs. Management sciences is a broad interdisciplinary study of problem solving and decision making in organizations. It uses a combination of analytical models, data science, and behavioural sciences to address societies' most complex problems. Conducting meaningful research that will impact industries and economies, our students and faculty work under three core areas of specialization: applied operations research, information systems, and management of technology. Winners have been selected from the University's first virtual Industry 4.0 competition for secondary schools run by a team focused on promoting Waterloo’s management engineering program. Team Conveyor Belt from Mary Ward Catholic Secondary School in Scarborough placed first, team Avo from St. Francis Xavier Secondary School in Mississauga came in second, and team BCSS1 from Bill Crothers Secondary School in Markham captured third in the one-day event held in February. 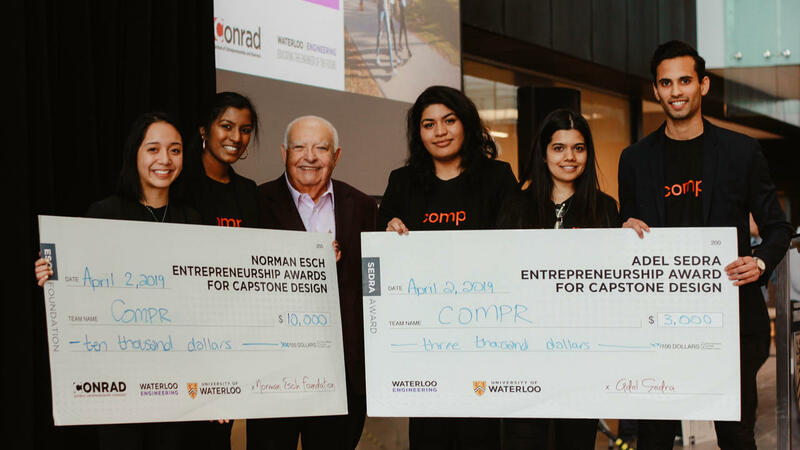 A team of Management Engineering students at the University of Waterloo made the most of a second chance this week to become the big winners at an annual pitch contest for startups. 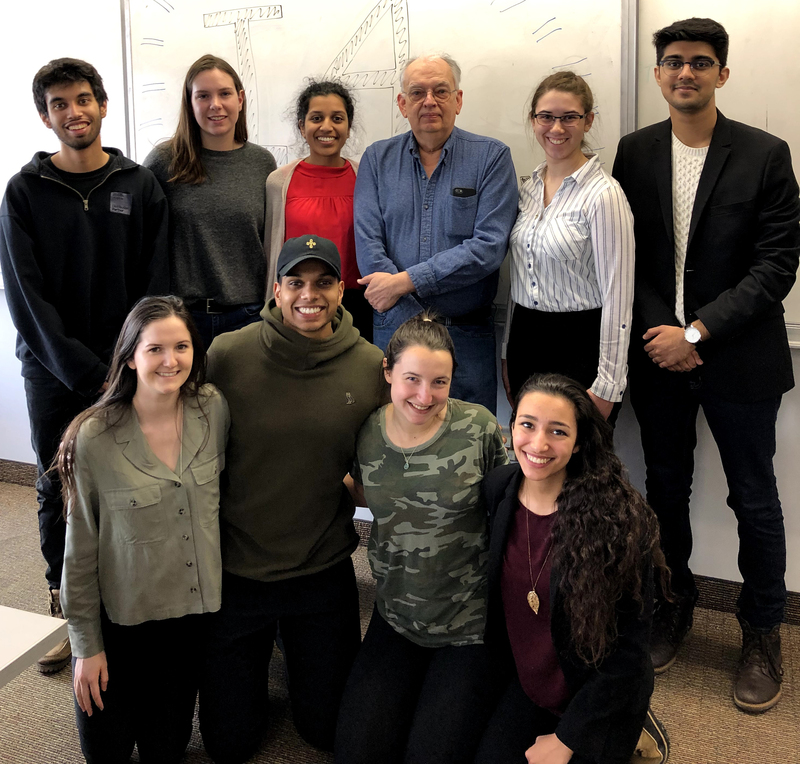 Thevany Narayanamoorthy, Dhruv Gupta, Garvita Rai, Rhea Philip and Sam Villaluz just missed the cut during a preliminary process to pick 15 finalists from over 50 applicants for the Norman Esch Entrepreneurship Awards for Capstone Design. Originally built as a way to secure cryptocurrency transactions, blockchain is a digital platform that verifies and records exchanges. Blockchains are global networks that can have millions of users, each adding information or data that is secured through cryptography. This creates an indisputable history of these transactions that cannot be modified by a single user, eliminating opportunities for fraud, and it is this feature that has some heralding blockchain as a way of increasing cybersecurity. Apr. 30, 2019Have you disclosed your IP? The deadline for faculty members to disclose Intellectual Property (IP) and commercialization information using the Electronic IP Disclosure Form has been extended to April 30, 2019. The Waterloo Institute for Sustainable Energy is pleased to host Umar Waqas, Director of Engineering Services for Energy+ Inc. on April 24.